A glow plug is a component within your vehicle that is used to aid the starting of your diesel-powered engine. They are crucial for colder environments, as cold weather can prevent diesel engines from starting completely. Diesel engines rely on the heat created by compression in the chamber in order to properly start. When a diesel engine is lacking an outside source of heat while also being exposed to extremely cold weather, the diesel engine will not be able to start. The solutions to this issue are diesel glow plugs! It’s crucial that you understand how glow plugs work and how to replace them, but also how to make sure you car starts in the winter. It’s imperative to possess the knowledge needed to solve these issues no matter where you are, as roadside breakdowns can be extremely dangerous. Besides requiring oxygen and fuel, an engine also requires an ignition point as well in order to operate. Glow plugs provide that required ignition by heating the small coil of wire inside the plug, or better known as the element, with the assistance of a 1.5v battery found in the glow plug ignitor. This battery can sometimes be found mounted on-board in certain newer vehicles. The type of fuel within the vehicle and the material of the element itself will determine how hot the element will remain after the engine has successfully started. Fuel containing methanol will come into contact with the element, which is made of several different metals alloyed together, and the contact between the two will create a catalytic reaction. This reaction heats the platinum while causing the methanol to ignite. Coverage for Any Make, Model or Year! Is Your Glow Plug Indicator Light Flashing? 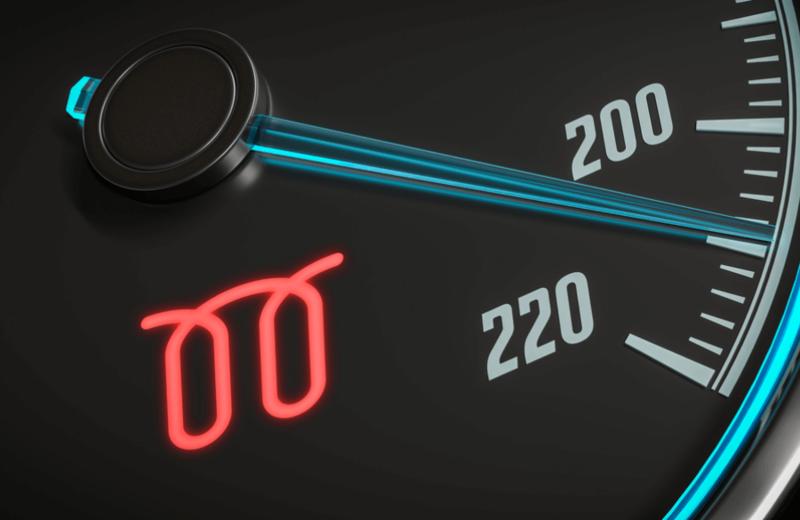 If you have a Glow Plug Indicator flashing, it’s likely that your vehicle’s ECU (engine management unit) has detected a fault that can be related to the glow plugs, the glow plug light, the glow plug control module, or even sensors that aren’t directly related to the glow plug igniter itself necessarily. Once the ECU detects the possible malfunction, it will record diagnostic data that certified mechanics that utilize code readers will be able to extract and interpret. When the Glow Plug Indicator symbol becomes visible on your vehicle, it’s likely that your vehicle will enter a “safe mode” in order to prevent any damage to the engine. When in safe mode, you will notice that your vehicle will experience a dramatic drop in performance. Depending on the severity of the issue, it may be safe to drive the vehicle extremely short distances until you are able to properly diagnose and repair your vehicle. It can be extremely stressful to deal with your glow plug indicator symbol flashing, and it can be equally as stressful to deal with your glow plug indicator not lighting up at all. Both are warning signs of a malfunction within your vehicle that can cause extreme damage to it, so it is crucial that you have the vehicle professionally diagnosed immediately, avoid highway driving at all times and never assume that the symbol is being shown by mistake. In order to determine the health of your vehicle’s glow plug relay, you will need a multimeter and possibly a glow plug removal tool (depending on your vehicle). Ensurethat your multimeter is set to ohms. The ohms setting symbol resembles an upside-down horseshoe. You will find two long vertical lines containing the range of the ohms. Testing glow plugs can be quite tricky if you are unfamiliar with how to use a multimeter. Touch the positive and negative pins attached to the multimeter with each other in order to determine the resistance value of your multimeter. 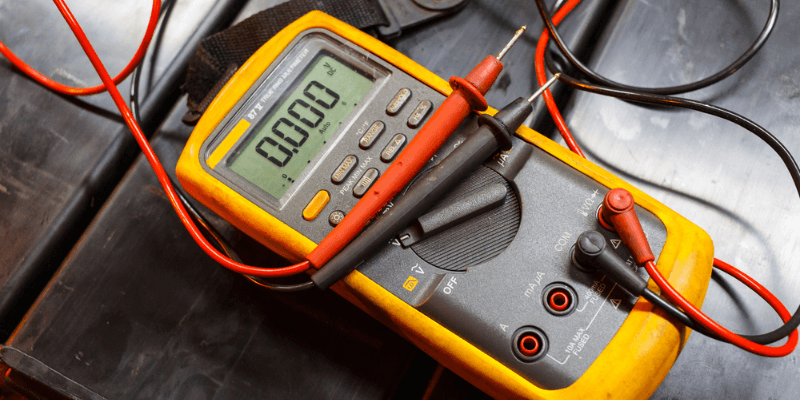 Once the metal clamps of the leads touch each other, your multimeter will display its resistance value. You will need to subtract this value from the glow plug reading. Glow plugs will not work properly if they are not connected to a healthy voltage. Put your multimeter in DC Volt reading mode, place the positive lead of your multimeter onto the positive terminal of the battery, and the negative lead on the negative terminal. If your battery is in good shape, you will find that your multimeter will read ~12.5 Volts when the car is turned off & ~13 Volts when the car is running. If you find that your battery is not reading healthy voltage, begin diagnosing and possibly replace your battery and/or alternator before you dive deeper into testing your glow plugs. As not all vehicles are created the same, you must refer to your vehicle’s manual or a certified mechanic in order to properly locate the glow plugs within your vehicle’s engine. You must remove the cap or connector guarding and securing your vehicle’s glow plugs before applying the multimeter’s clams onto the glow plugs. As you remove these caps and/or connectors, examine the connectors and pins for any signs of corrosion or looseness. Clean the connectors and pins and ensure that they are securely fastened. The main two ground points in the engine can typically be located by tracing the wire that leads from the negative battery terminal into the engine wall and attached to bolts. Ensure that you are grounded by attaching the negative lead onto these bolts before proceeding. Depending on your vehicle, it may not be that your engine’s grounding points are located in the same location where most other vehicle’s grounding points are. Always consult your vehicle’s manual to find the exact locations of the engine’s ground points. Once you connect your multimeter’s positive lead to the top of the glow plug, you will then be able to evaluate the multimeter’s reading. Your vehicle’s manual will provide you with the relevant test specifications unique to your vehicle needed to properly interpret the multimeter’s reading. Subtract the multimeter’s resistance value you made note of earlier from the resistance value of the glow plug. Each glow plug should have similar readings when tested. If there is a large difference between even one glow plug’s resistance value from the rest, it can cause an engine to underperform and can also be the reason why your Glow Plug Indicator Light is being shown. If you find that one glow plug is faulty, you must replace all glow plugs within the engine. You should never replace a single glow plug, even if the remaining glow plugs are still good. Once removed, examine where your glow plugs were mounted & clean out the debris if any.